Model WZ644-10Q double-disc valve uses a double -disc sealing and sealing surfaces are made from wear-resistant alloy or ceramic. The seal is 100% airtight and the valve achieves a long service life , particularly in applications . Consequently , overall system reliability is increased dramatically . When air is introduced into the upper cylinder port , the piston rod pushes the double-disc down and the valve is closed . When air is introduced into the lower cylinder port , the piston rod pushes the double-disc up and the valve is opened . 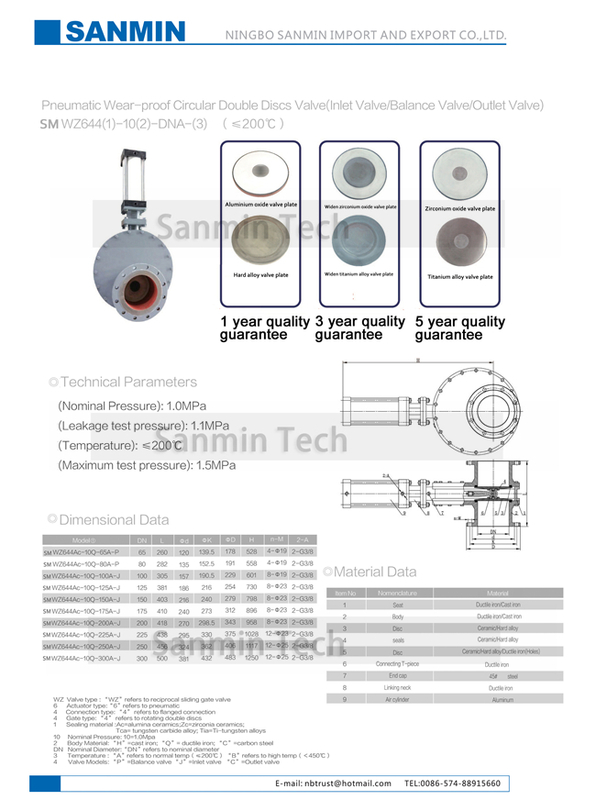 Compression spring being placed between the discs and seal ring , forces the discs the discs against the seal ring , and also allow for discs vertical movement , which helps to compensate the thermal expansion and contraction of the parts and ensure an airtight seal under all conditions . When actuating the valve , the double-disc rotates to lap and polish the sealing surfaces . When product flows through the valve , any material entering the inner chamber is removed by vortex flow action . Hence , the valve is self-cleaning . Additional air purging can be provided to ensure clean-in-place performance . All these characteristics guarantee a long service lofe for the valve and increase the reliability of your system . Any dust , powder , and granular products in coal-fired power plants , smelters , iron and steel plants , pharmaceutical and chemical industries . 1. Prior to installation , make sure the pneumatic actuator is free of any defects like breakage and concave . 2. 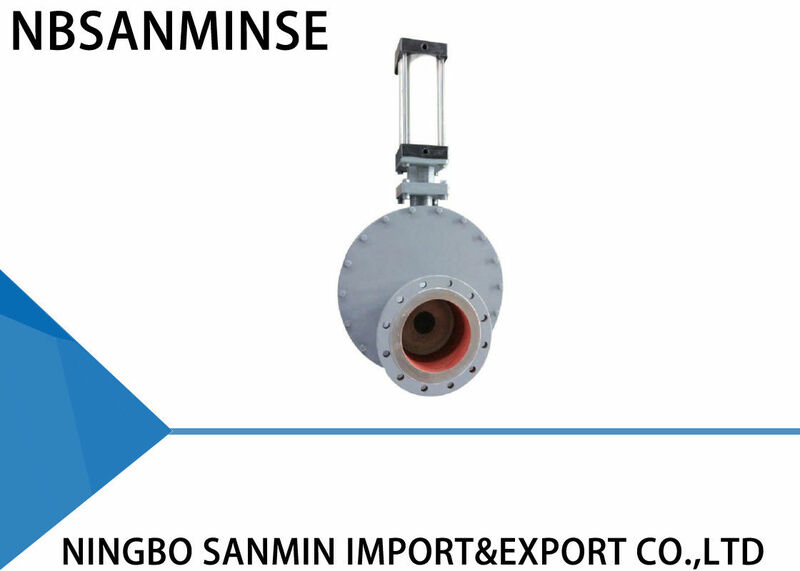 Make sure the joint flange , structural length , maximum operating pressure and nominal diameter are accorded with requirements . 3. During installation , not allowed to readjust studs and nuts that have been fastened originally . Align the center of two pipelines and valve diameter to be coaxial . Keep the flange surface flat . Uniformly apply force to tighten the bolt . 4. After installation , introduce air from the upper and lower cylinder ports to see whether the valve can be normally opened or closed . 5. Cheek the control switch ( if existing ) to see whether it is reliably fastened , whether its parameter is accorded with access power source , and whether it can correctly work under full opening and full closing conditions .